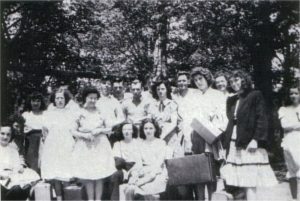 Front row: Barbara Fulton, Edwina Given, Beverly Fountain, Betty Colton, Eileene Curtis, Clara Ashley, Lois VonWald. 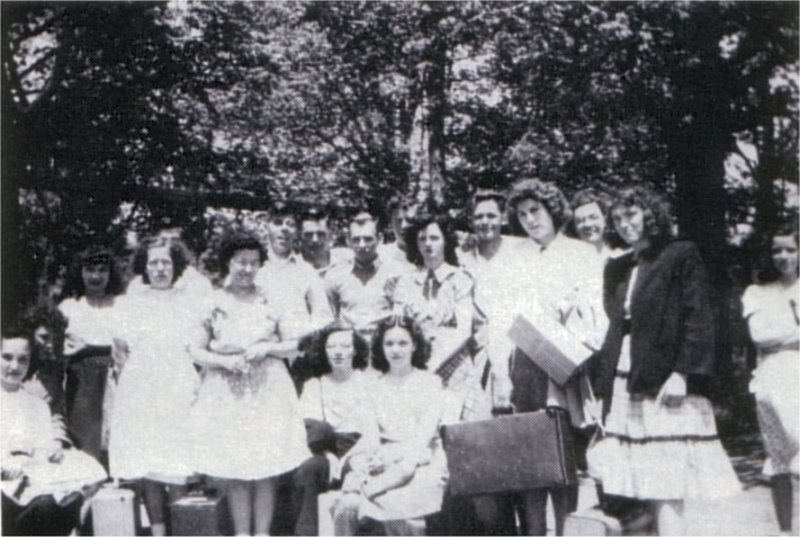 2nd row: Monica Dewey, Molly Towne, Lewis Cary, Nelson Austin, Arlyss Tuttle, Eleanor Howland. 3rd row: Bob Charron, Milton Scott, Bobby Bidwell, Wallace Sibley.